Whether they’re scary, cute, or retro-geek—here are five unique spots to try on your visit for some unexpected dining experiences. 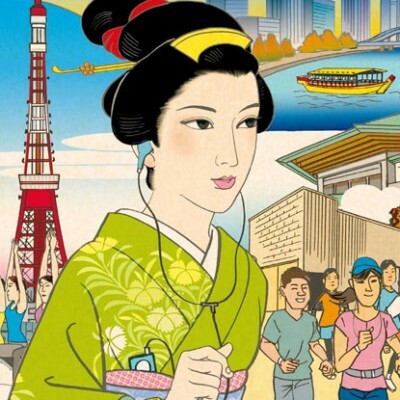 Tokyo is a city famous for its dining, but apart from fresh sushi and Michelin stars, it’s also home to a variety of themed restaurants and bars. Whether they’re scary, cute, or retro-geek—here are five unique spots to try on your visit for some unexpected dining experiences. 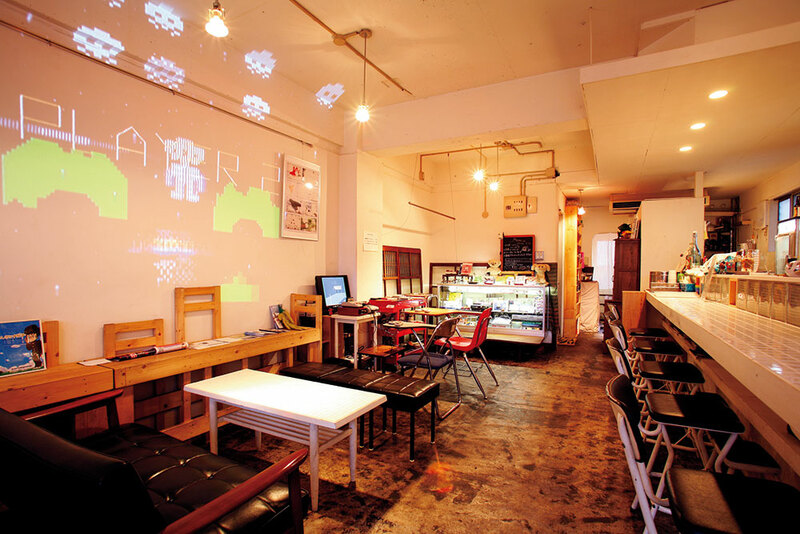 If you’re nostalgic for blocky ’80’s Nintendo video games, D-paddle to your heart’s content at 8bit Café in Shinjuku. Game-inspired memorabilia, figurines and comics adorn the walls and dot the room. Order a drink, choose a console game or pick up a handheld DS or Gameboy and enjoy a trip down Donkey Kong lane with the locals. Q Bldg. 5F, 3-8-9 Shinjuku, Shinjuku-ku. For a taste of anime, manga and the Akihabara lifestyle, @Home Café offers one of the most popular “maid cafe” experiences. Be treated like a returning master as kawaii (cute) maids write on your heart-shaped omelet-rice bowls or pasta plates to make them more oishii (delicious). Play games or buy photobooks, CDs and DVDs as mementoes of your sweet time. 5F, 4-3-3 Don Quijote Akihabara Bldg., Soto-Kanda, Chiyoda-ku. If you’re idea of a good time is being handcuffed and thrown in jail, then get incarcerated at The Lockup in Shibuya. 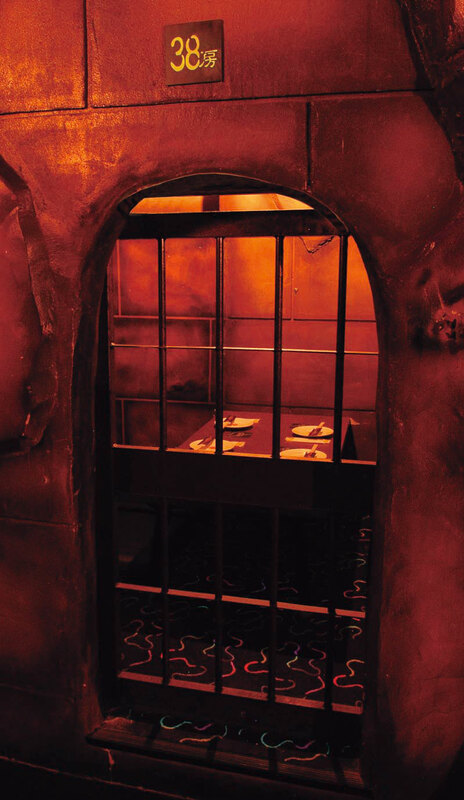 Here, the costumed staff will lock you up in an old-school dungeon and serve cocktails in blood bags, frothing beakers and colorful test tubes along with horror-themed dishes like sausage “entrails.” Like a bar in a haunted house where you can eat, drink and be scary. B2F Shibuya Grand Tokyo Bldg., 33-1 Udagawacho, Shibuya-ku. 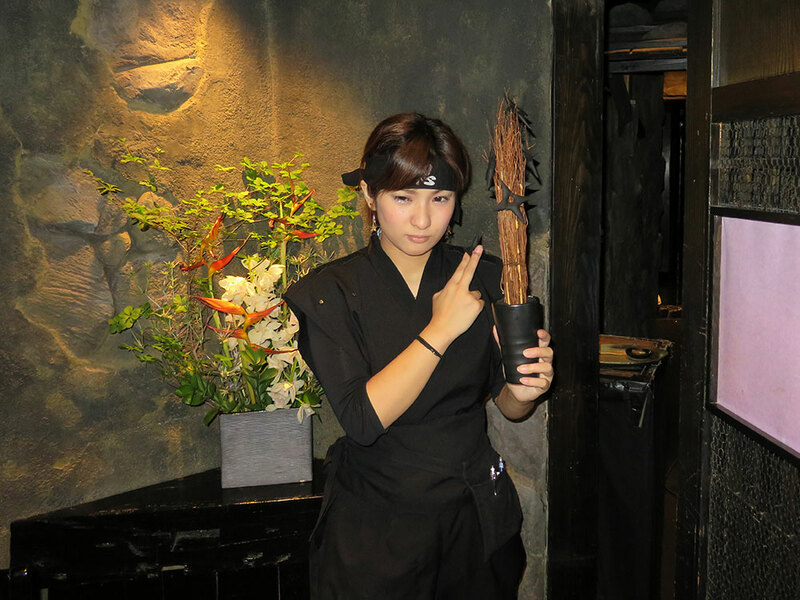 Steal away to the secret Ninja Akasaka mansion for some stealthy entertainment! Be led through dark, narrow passageways as mysterious warriors appear from nowhere to deliver a variety of Japanese and Western cuisines to your private area. 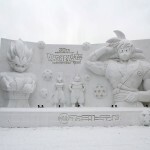 Witness “ninja magic” and enjoy numerous surprises—a must-do experience with the kids. 1F Akasaka Tokyu Plaza, 2-14-3 Nagatacho, Chiyoda-ku. If Dracula relocated to Tokyo, his castle would definitely be in ritzy Ginza. 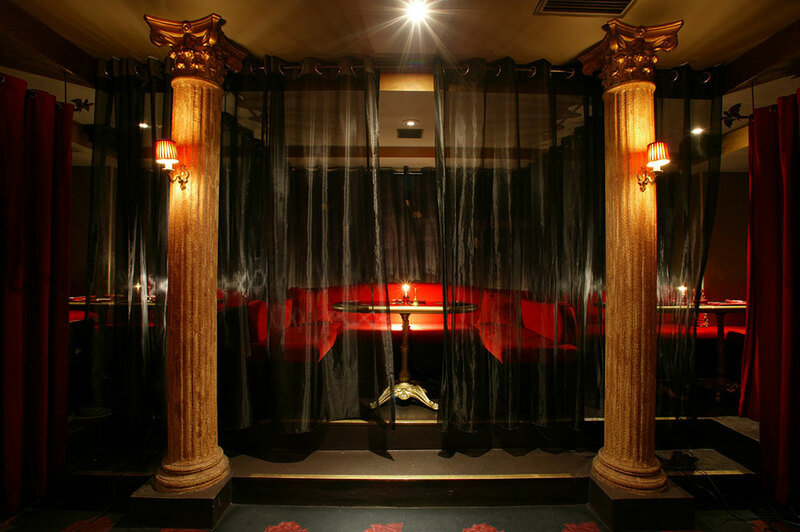 With all-black decor and blood red furnishings, the Vampire Café is ready to serve him. Bathed in soft light from candles atop coffins and presided over by a count and his “vampire maids,” the restaurant’s bloody cocktails will entertain you for an eternal night. The food is mainly Western-style—just be sure to bring your own garlic. 7F La Paix Building, 6-7-6 Ginza, Chuo-ku. 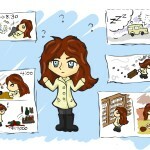 After arriving in Japan to begin my much-anticipated working holiday, I wonder if perhaps I've made a big mistake.